This entry was posted in Devotional God Is Who He Says He Is and tagged Bible Jesus on August 26, 2014 by stacie.snell. But Lord, I don’t have enough. The first story in 2 Kings 4 is of the widow with the olive oil. Her sons were about to be taken into slavery as a result of their late father’s debt. This widowed mother had nothing to pay the debt but a small jar of olive oil. And it was not enough. When she took the matter to Elisha, the man of God, he instructed her to go and gather empty jars from all her neighbors and fill them all with what she had in the small jar. God miraculously multiplied that small jar of oil until every last jar was filled. Because she gave God what she did have and trusted Him with the rest, she had enough to pay the debt to save her sons AND she had enough for her and her sons to live off of what was left!!! Later in the chapter, Elisha fed 100 men with just 20 loaves of barley bread. 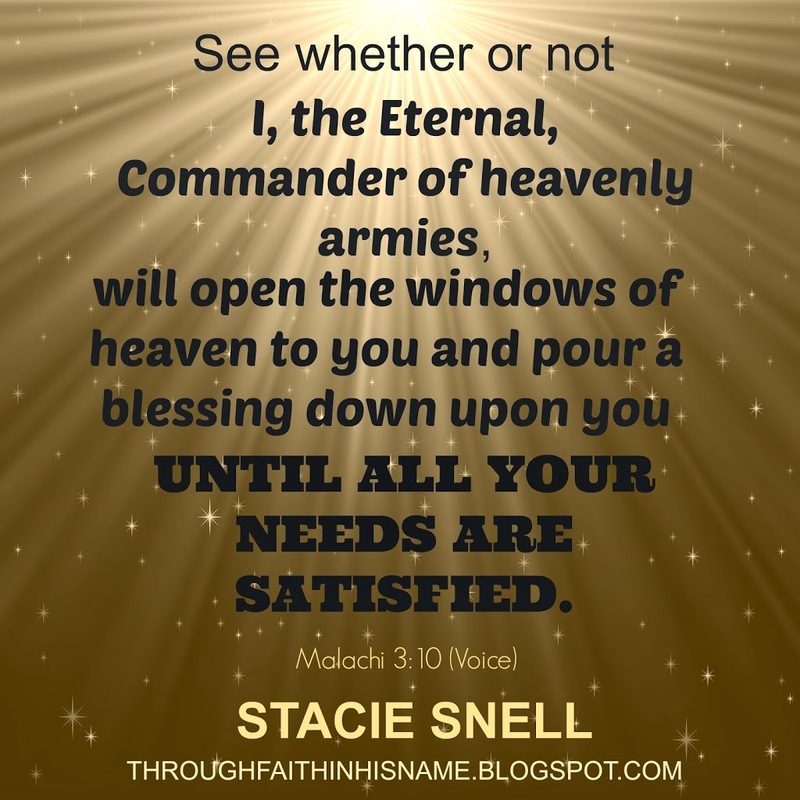 Again, it was obvious, there wasn’t enough, but Elisha assured his servant, “The Lord says they will eat and have some left over.” And they did! They gave what they had, and God took care of the rest. I don’t have enough time to do what you are asking me to do. I don’t have enough energy to do it enthusiastically. I don’t have enough passion to do it well. I don’t have enough knowledge to do it right. I don’t have enough faith to see past these circumstances. Lord, I don’t have enough. …a little bit of time. …a little bit of passion. …a little bit of enthusiasm. …a little bit of knowledge. …a little bit of faith. Wow! What if we take God at His word here? Can you imagine what He can do with what little we give Him? If He can make one jar of olive oil multiply into enough for a family of three to live off of, and feed 100 hungry men with 20 loaves of bread, what can He do with what we give Him? Join me today in giving God our “little bit,” and let’s watch Him multiply it. If we trust Him to do that, He is faithful to not only give us what we need but we will have some left over! Let’s trust Him with our little bit of time, energy, passion, knowledge, faith or whatever else you feel you don’t have enough of, and we will come through it with God-sized portions of all we need. Lord, my God, I don’t have much. In fact, I only have a little bit, but I am going to give you what I have and trust you to multiply it. That’s who you are, the God of multiplication! Thank you, Lord, thank you. I love you, Amen. Love it and needed this today! Thank you Stacie! Thanks sweet friend for this amazing, God-led encouragement. Trying to figure out when I’ll write in the midst of the first week of school for the kids can put blinders on me. God will provide what I need when I need it. Thanks April! And Yes, He will Jenn! That was one of the things I was saying I didn’t have time for too. I was put to the test though. I actually wrote this last week and after I wrote it I committed to give Him my little bit. Let me just say God has truly baffled me this last week with what He has done with my “little bits!” We can certainly take Him at His word!! !